When you're camping in a tent or a camper that doesn't have toilet facilities, you may want to use a porta potty. 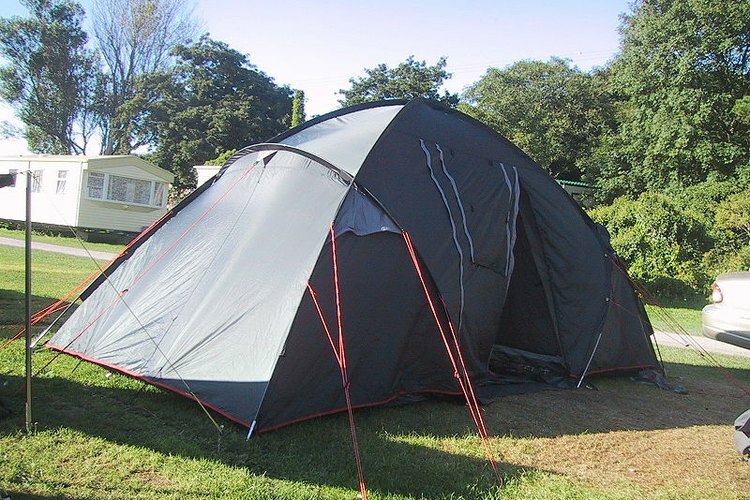 While most campground have comfort stations with toilet facilities, it may not be convenient to run over to them in the middle of the night or when you have a desperate need for relief. If you use a porta potty, you will need to empty it regularly. Determine if the porta potty needs to be emptied. A typical flushing porta potty used for camping has its own fresh water tank and waste holding container. Most can be flushed between 25 and 60 times before the waste tank fills and requires emptying before further use. Separate the waste holding tank from the porta potty. This is usually the lower part, and it typically has a locking latch that makes it gas and odor tight. The lock will not be difficult to disengage so you can remove the waste holding tank from the rest of the unit. Carry the waste holding tank to a conventional toilet facility so you can empty its contents into a regular flush toilet. At most campgrounds, you can find regular toilets in the comfort stations. Take the container into a toilet stall, raise the seat, and empty the waste container into the toilet. When the container is emptied, flush the toilet. Depending on the volume of waste, you may need to flush it again. Clean out the waste container before replacing it on your porta potty. If possible, use a hose, If not, you may have to use a faucet. Rinse out the container thoroughly. When you are done and have latched it back into place on the porta potty, use hand sanitizer to clean and disinfect your hands. If your camping porta potty does not flush, you can still empty it by following these same steps. The waste will still be collected in a container that must be detached and emptied in a regular toilet. If there are any spills or splashes, clean them up out of courtesy to the next person who uses the stall.